Everyone has days, that are filled with thoughts of self doubt. No matter how good your intentions it seems everything you do comes out wrong. It always amazes me when I am feeling this way, that God sees me drowning in doubt,and he reassures my Heart! God truly cares about all the little details of our lives. 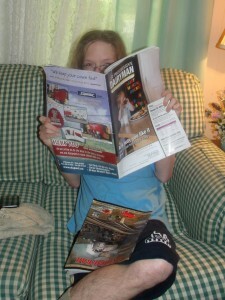 Lancelot reading June, 2013 issue of “Progressive Dairyman”. For example, I have had a headache for a day or two. Needless to say, I have not been productive. 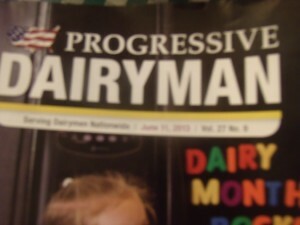 Then this morning Lancelot received his copy of Progressive Dairyman. Just happens that on page 23 there is a story about Lancelot’s Quest. Yes, I knew there was going to be a story, but I did not know when it was coming out. This is the link to article on Proud to be Dairy. Also I received an email from a friend that had placed the Quest Heart Logo on his Boat. How cool is that? 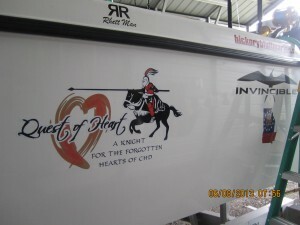 Duke Raulerson put Quest of Heart logo on his boat. Last Monday I received two emails. One was from U.S. Rep. Austin Scott’s ( GA-08 ) office asking if I could add him to the Congenital Heart Caucus. The other one was from U.S. Rep. Gus M. Bilirakis’ ( FL-12 ) office saying that Austin Scott had been added to the CHD Caucus. Needless to say I am humbled by God. Whether I am sitting writing letters on my computer to Congressmen, or spending my last dollar to bring something to the children’s hospital, I always wonder if it is doing any good. I also feel like I am neglecting Lancelot. (When we are home Lancelot has his routines, reading, computer, puzzles etc.. Most of theses things he likes to do alone. Occasionally he ask me to join him.) It is nice to know that just maybe some of my time and effort is helping. 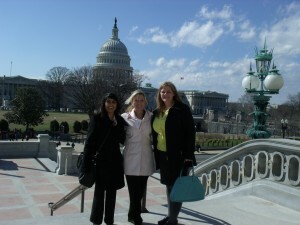 When I was in Washington D.C., I meet so many inspiring Heart Moms and Adults with CCHD. I have been on their team advocating from my computer and I didn’t even know it. They opened my eyes to how much I did not know: Actually to the fact how little anyone truly knows about the whys, how’s, and what’s of CCHD. So much work is to be done. If God let’s Lancelot and I, we will continue doing what we can to help others affected by CCHD on our Quest of Heart with many thanks to all of you. 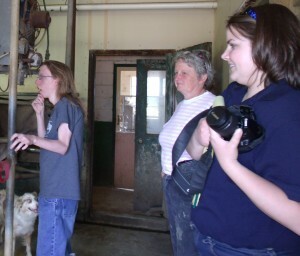 Lancelot, Emily Caldwell and Mrs. Franks at Southern Swiss Dairy. Thank you to Walt Cooley and everyone at Progressives Dairyman for sharing Lancelot’s Quest. PSALMS 74: 26 My flesh and my heart fail-eth: but God is the strength of my heart, and my portion for ever.